Updated 21/01/2017: With the toddler patch breaking a few things, I have taken the opportunity and gone through and updated my sets to fix issues and generally improve on some things. 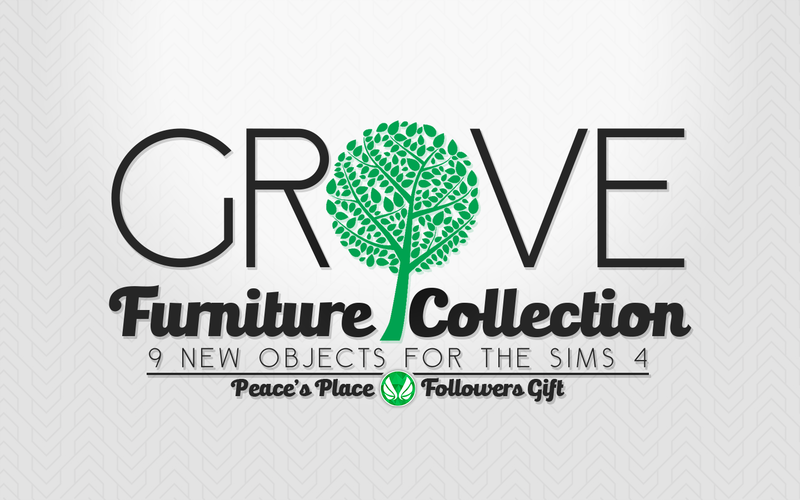 Grove items have been partially remeshed, remapped, and textures fixed, along with redoing the slots. The items wont need to be replaced in your homes, but since I redid the slots it means anything placed on them will be in your family inventory and will need to be put back. This set is now outdated. You can find the new version here. What a fantastic set! Thank you so much! Congrats on your first self-meshed set :))Love the style and colours - can't wait playing with it! Everything looks amazing! Thank you so much for sharing! Your taste is beyond excellent and your decorating skills are amazing. Thank you for this beautiful set. These look lovely. Thank you. Thank again for your work ! Hi. I love this set and it looks amazing.. however, I can't get the sims to woohoo or make babies using the double frame (separated). If I remove the frame, they can woohoo on the sophia framless mattress just fine.. but something about the bed frame is blocking them. They can both sleep in the bed, however, which is very odd. Is anybody else having this problem? Please don't take this the wrong way.. I love this set.. by far some of the best work I've seen for sims 4... and I plan to get a lot of use out of it. Has anybody else reported this issue? I can only speak for my mattresses and bed frames. There appears to be no issues with the woohoo and try for baby interactions over here. My guess is this has to do with OM's mattress that you are using. I made my mattresses and frames according to how Veranka made hers. I didn't like how sims could walk though OM's mattresses, so that was the deciding factor. My guess is the changes OM made to the footprint is conflicting with the footprint of the bedframe and its causing routing issues while in bed since the animation takes part in the centre of the bed over the top of the footprint. I can only suggest trying my mattresses to confirm this. If it is indeed OM's mattress that is causing the issues, this is just something I can't account for since I didn't create them. When TSRW can make items that are styleable, I will look into trying to fix this when I update the set, but that is all I can do. I do wish there was just one way people would make separated beds to stop this from happening, but people are going to do what they do. These conflicts are unfortunately part of using cc; items are going to conflict. If you are still experiencing issues, even with my mattress, let me know and I will see what else could be causing it. I use them all the time!! They are gorgeous! 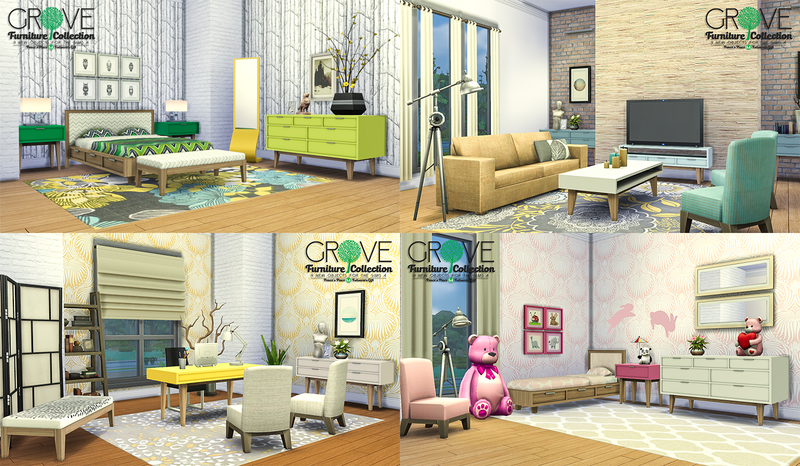 This is the best furniture that been made for Sims 4 so far! Great job! Looking forward to see what you do next. Sorry, but no chance of that happening. It was always designed to be a colourful set, not wood. You are free to recolour for personal use though. Your best bet is to find a custom content installation guide in your own language as I am not going to be much help for you.